How do I try out for a Challenge ECNL team? ECNL teams may hold formal tryouts for ECNL players, beginning on May 1st, 2018. Any interested player or family should contact the Challenge ECNL staff well in advance to start an informative dialogue prior to the try out process. Are there only two Houston based clubs with ECNL membership in 2018/19? Yes. 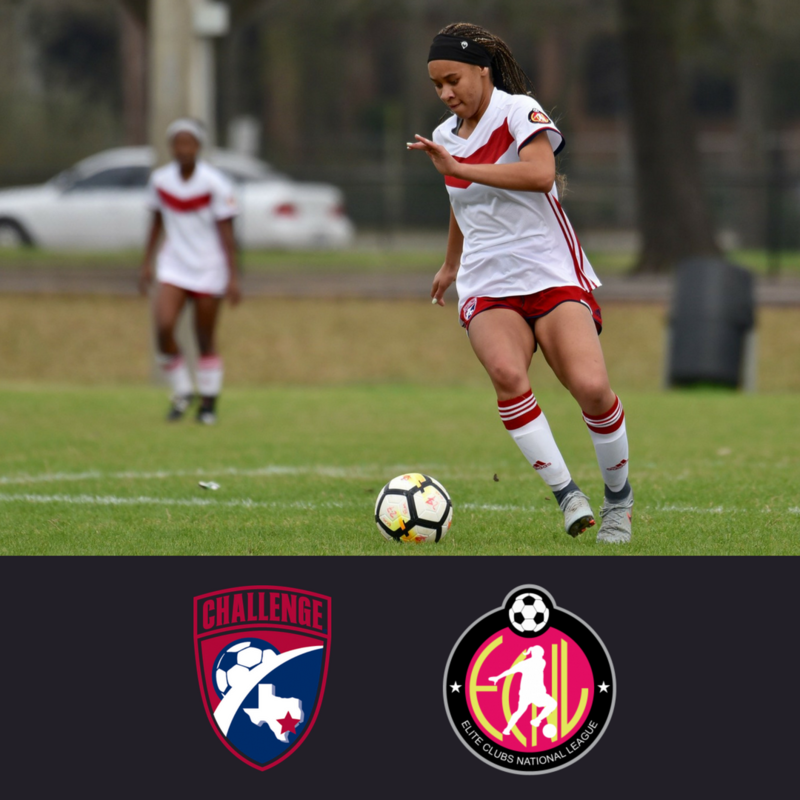 The ECNL has made finalized membership decisions for next season and Challenge is one of two clubs in Houston. Which Players Benefit from ECNL Play? The ECNL was formed in 2009 with its sole focus being on the total development of the ELITE female player. That mission continues into 2018 and Challenge’s dedication to the top female players in the country remains the same. We are proud to offer programming for our country’s very best players and their pursuit of National Team and high level collegiate soccer.